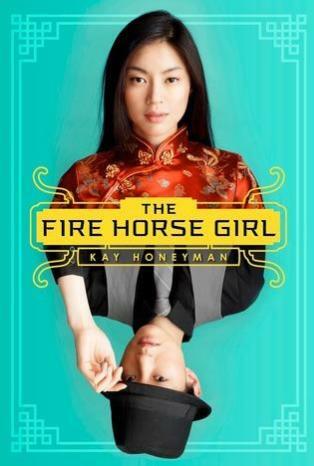 A Book Dork: Review of "The Fire Horse Girl"
Review of "The Fire Horse Girl"
Short Sweet Synopsis: Strong headed girl dreams of finding her place in the world. Feels unwanted in China and does everything she can to get to America. "The Fire Horse Girl" was a nice surprise. Jade Moon is a strong female character; while she doesn't always make the best decisions, readers will enjoy her spirit. Based on the cover of the book, I was expecting this to be kind of like a modern day Mulan, but I was happy that the main focus of the book was on Jade Moon's journey to America. I had not heard of Angel Island and was very interested in learning about this aspect of US history. I knew that Chinese came to America and landed in California, but I hadn't read or heard anything about the process before. I only had one issue about the book, how did she conceal her period? I know this might sound crass, but seriously, how would a girl pretending to be a guy hide it from everyone for months? If I could give this book a 3.5, I probably would. Such a big plot hole just took away from the believability of the story. “The Fire Horse Girl” is filled with characters with depth. I liked that I couldn’t tell what a character would do from one minute to the next. Some characters disappointed me, but their flaws made them more realistic. I recommend this book to people who enjoy historical fiction, Asian American literature, or who enjoy books with strong female characters. 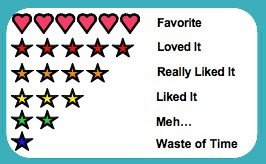 *Received an advanced reader from NetGalley. Sounds good-- does she pretend to be a guy in order to get to Angel Island because women could not travel there by themselves? The title is cool, because a Fire Horse is the most strong-willed and wild member of the Chinese Zodiac. Thanks for the review and I'll definitely be checking this one out.